Those are the solar energy systems that GO energy offers in order to install on parking places. It's a good alternative to use the parking lots of the buildings. Thus, you make use of the free spaces and have a shade for the vehicles. 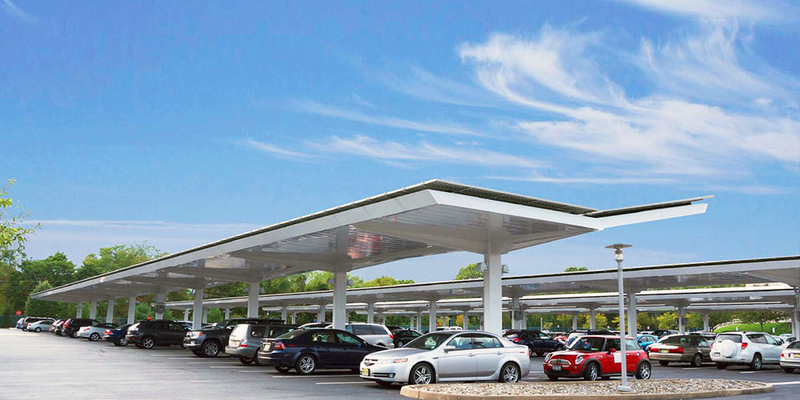 With the GO Enerji Parking Place Solar Energy Systems, the solar panels are installed to the parking places of your building. It's an installation with special structures where the cars can park under it. Prior to the installation, our expert team analyzes the fiels to determine which technique for the installation will be used. The desired design, the suitability of the ground and the direction of the sun clarify the architectural application. The solar panels are installed on the highest international standards with all the load and seismic calculations and they operate for tens of years under any weather condition. 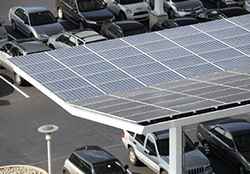 The installation of the solar panels to the parking places bring many advantages. It's the best alternative in care the roof doesn't suit for the installation.